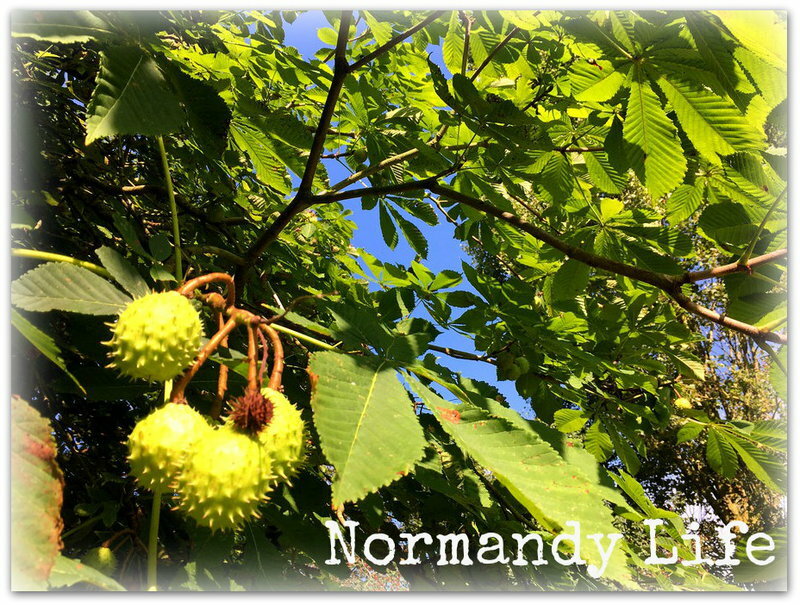 Normandy Life: Mosaic Monday - # 16. November days. 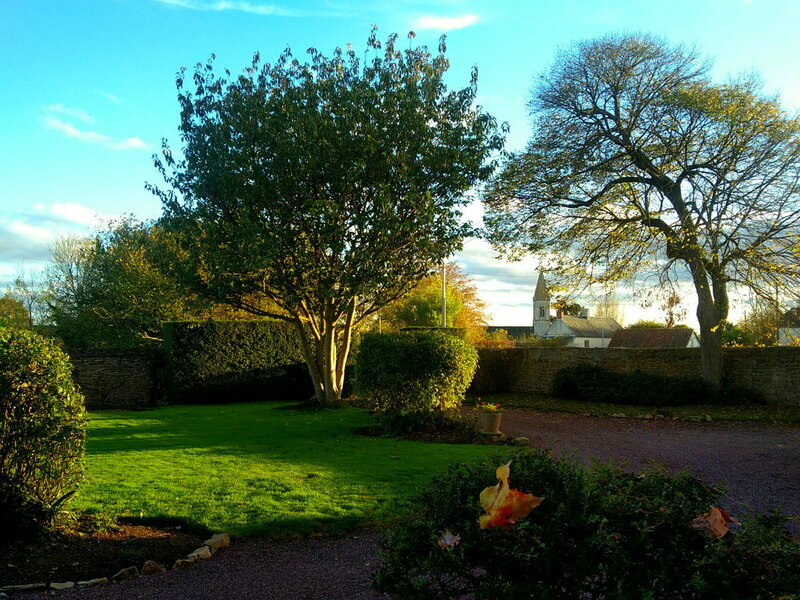 Maggy I so enjoy the peeks into your life in Normandy. Your fall colours are so richly bright. I watched someone use a lawn vacuum that looks like a lawn mower the other day and they cleaned all the leaves from the front of the city hall so quickly ! Amazing. I have mostly stopped raking the leaves that fill the back yard, I just pretend they are great mulch (age will do that to a person). Thank you for hosting Mosaic Monday 16 today, very much appreciated. I too find the rotisserie chickens less expensive that the buy and cook your own - and so much easier on the cleanup afterwards too. Oh Maggie, autumn is so rich and gorgeous in your corner of the world. Such deep colours on those trees. Your meals sound so yummy. I, too, wonder why it's cheaper to purchase a rotisserie chicken than a fresh one. They are handy for quick meals, though. 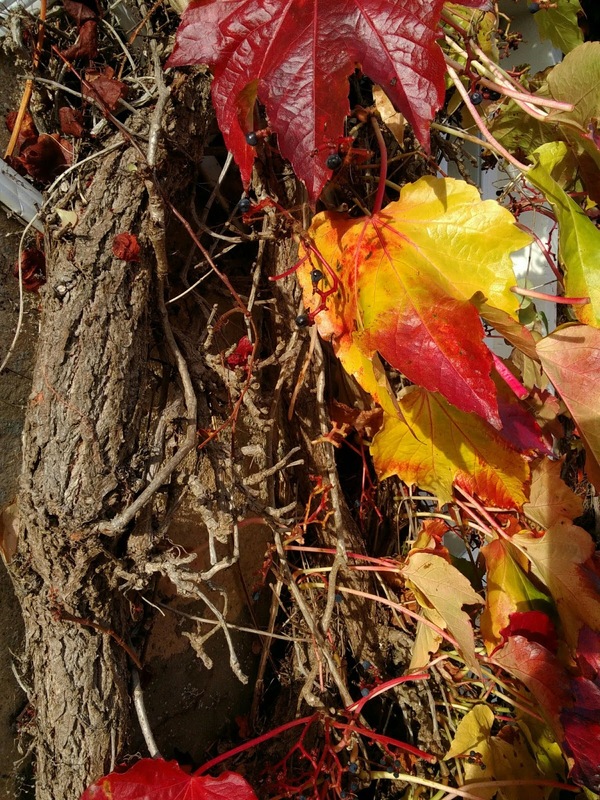 Pretty November nature colors! 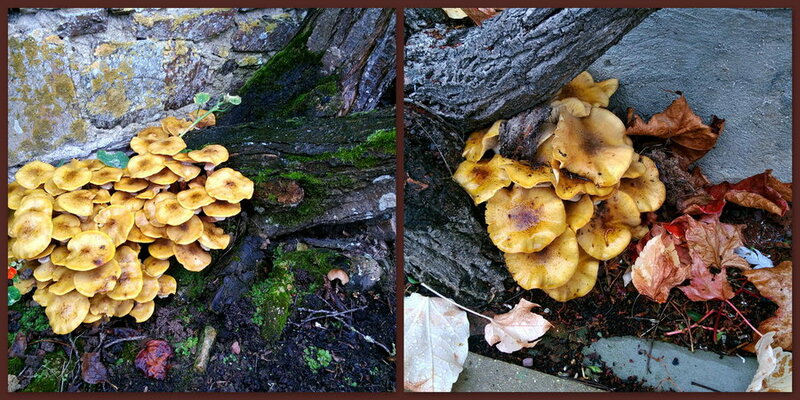 Yes I would be cautious about eating unknown fungi as it can make you very ill. Your roasted vegetable chicken soup sounds very delicious! Good Morning Dear Maggie ! Oh, my, what beauty, Maggie. The autumn colors are splendid! The roasted vegetable chicken soup sounds perfect. Yummy! Your November days look lovely, as ours here in Wisconsin have been. 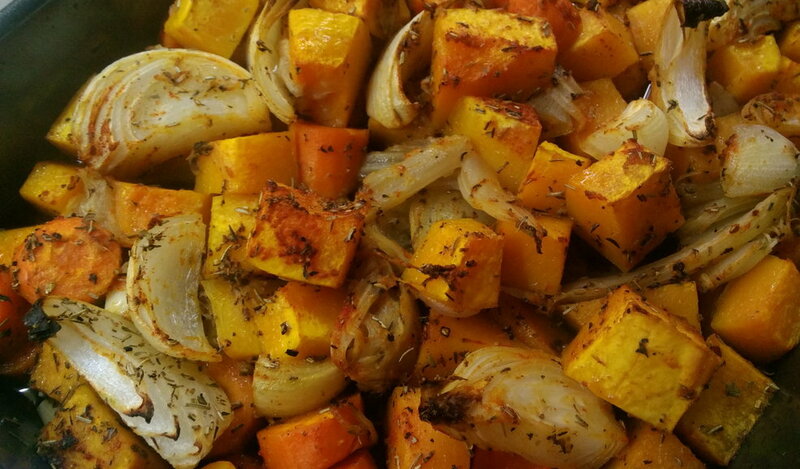 Your post makes me hungry for roasted veggies. I like to throw in a few parsnips too. And I see by your profile that you have a German Shepherd. I sure miss my sweet GSD who lived to be 12+ years. They are the best! Lovely pics today. Yes I have noticed that rotisserie chickens are usually priced well, and certainly make for easy meals. 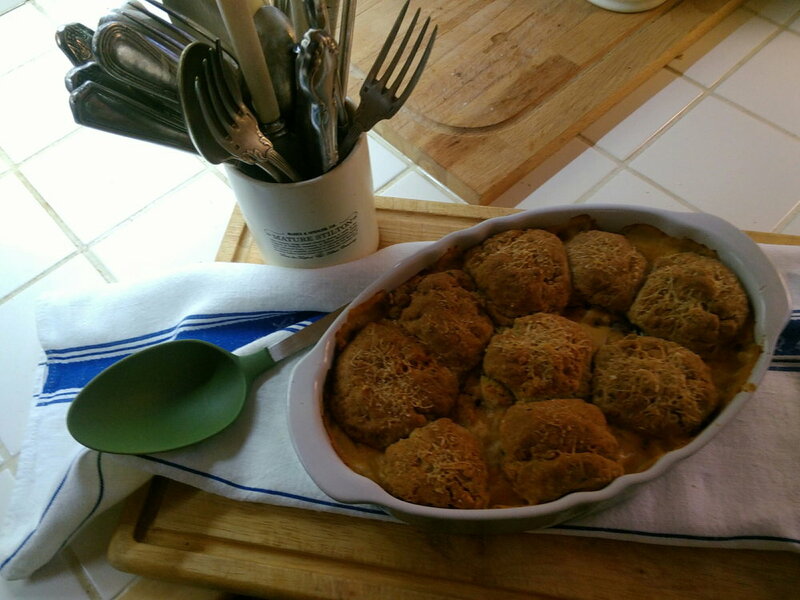 In fact, I may grab one today, and bake up some of our butternut squash on the side. 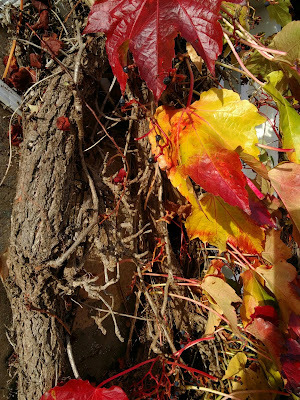 Beautiful autumnal colours! The food looks yummy. I always think French rotisserie chicken tastes extra delicious.....probably all in the mind! Thank you Maggie - have a lovely week. Your blog sounds so delicious today. Lovely fall scenes in your part of the world. What a great idea to blend those veggies after roasting them to make a soup. Yum. I love rotisserie chickens. With just the two of us we can make several meals from just one. Our Costco here in the U.S. sells them for $4.99 I can't beat that price anywhere. Hope you have a lovely week! 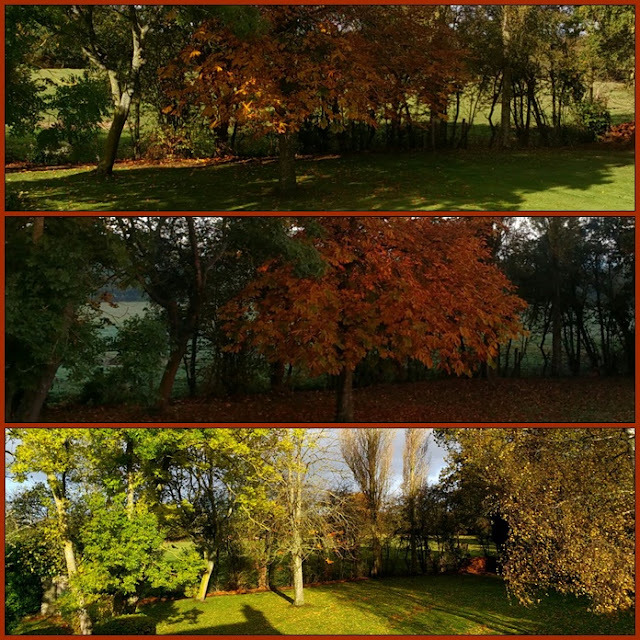 Beautiful late autumn images. I hate to see October pass and the loss of so much colour, but monochromatic November has a simple beauty all it's own. Your chicken stock made with roasted veggies sounds so good. Funny as the weather cools down, how we like to turn to soups, stews, etc. Comfort food! Lovely autumn colours, ours were spectacular this year. 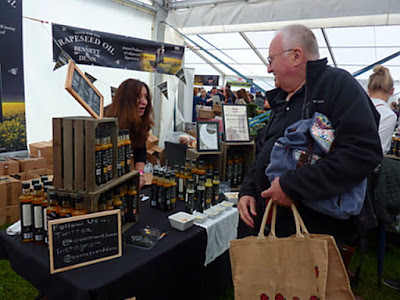 We love roasted veggies, haven't tried rapeseed oil, might have to check that one out. Have a lovely week. Your autumn is beautifully shinning. Especially I like the second photo. Such a beautiful place with the green trees, and the house peeking in the distance is lovely. I imagine Normandy is a beautiful town. Your food looks delicious. I can almost smell!! Our leaves are quickly changing to red and yellow, but my camera is under repair now. I do not want to miss taking photos of this colorful time. Thank you for letting me Mosaic Monday today. I will visit others soon. Glorious pictures of the trees in their splendor, Maggie, and your meals have me looking forward to the colder days coming. I have to say, I know firsthand how wonderful your chutney is!! Everything looks so inviting there Maggie - autumn always so beautiful, and even the shorter days with darkness falling around the time we are preparing dinner is to me always so enjoyable. We had our first fire on Sunday night - watching Poldark - and it burned so brightly making me thankful the cooler weather is coming. I haven't roasted a chicken in years, because it is so much more economical to get them from the super. We get at least three meals from one, usually four, and soup. Those veggies look amazing. I love the way you did the tryptich. Thanks so much for hosting... sorry to be so late. I had a slight accident involving my typing hand and have been very slow. We just brought in box load of butternuts from the garden. We will be having plenty of winter squash. I like it best of the winter squashes because it is sweeter and creamier than the others. Your dish looks delicious. We, too, enjoy the rotisserie chicken, especially on nights when I don't want to cook much.